Home > Miami,_FL,_USA > Wedding_Questions > Wedding_Reception_Venue. Hello! I am looking for a place I could rent out. Something unique that isnt so expensive. I am open to church halls, warehouses, clubhouses, etc. Or, anywhere that will work with a $6,000 budget. The guest list is still being worked out. Also, if anyone has any good catering companies they can suggest that arent that expensive, it would be greatly appreciated! Congratulations ! 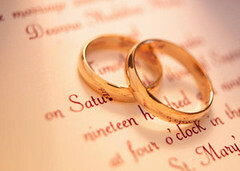 I just planned my son's wedding (Iam also a new event planner) I decided I love this business, it was soo much fun. Enough about me. The reception was at the "Woman's Club at Coconut Grove",(speak to Leslie she is in charge tell her also Jackie sent you my email "[email protected]), don't worry I don't get any fees so you don't have to worry about it making things more expensive. I don't know if this is a good location for you but it is definitely charming, romantic wood floor coral rock. Go on line and see pics, it is a 100 year old building (Historical) with a lovely story to its name. There is also a very simple but shady garden at the entrance with big trees where we had the cocktail hour. Very affordable, last I know Frid. is $1,200.00 and Sundays $1,000.00 but make sure. Still Iam pretty sure. You will need to give a small deposit, they break it up which also helps a lot. NOW THIS IS THE CATCH ! They allow your own caterer but then you pay $5.00 per person and the kitchen is VERY VERY LIMITED. You are only allowed to use the refrigerators (2), NO OVEN, STOVE OR ICE MACHINE YOU BRING IN YOUR OWN ICE. They have there own caterer also, great but expensive, Hansen, very good reputation. My caterer VERY CHEAP they are responsible, professional, on time and very important delicious but they do not serve. They deliver the food in special insulated boxes but you have to have your serving crew which I also can give you Estrella (tell her Jackie Campos sent you). The caterer is Chef Nunez Catering, Spanish and international food. www.chefnunezcatering.com, speak to Emilio the son and owner, he speaks English or Asiris ( I don't think she speaks a lot of English if any).WISH YOU THE BEST! We are full wedding planning and event company, providing assistance in producing fabulous and elegant weddings and events for 15 years in South Florida.